The NIRH Action Fund believes that the vast majority of U.S. voters think that a woman who has decided to have an abortion should be able to access to safe, legal, supportive, affordable care in her community, without shame or pressure. 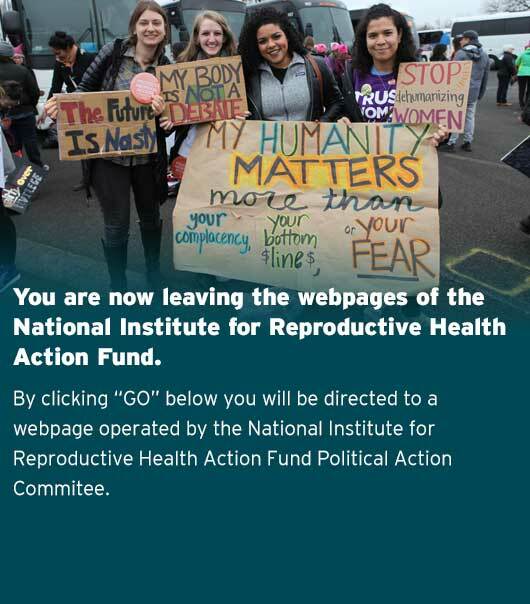 To make this vision a reality, the NIRH Action Fund engages in message-driven campaigns to challenge conventional electoral wisdom, pilot new ideas, and mobilize voters to turn out to vote for candidates who are champions for reproductive freedom. 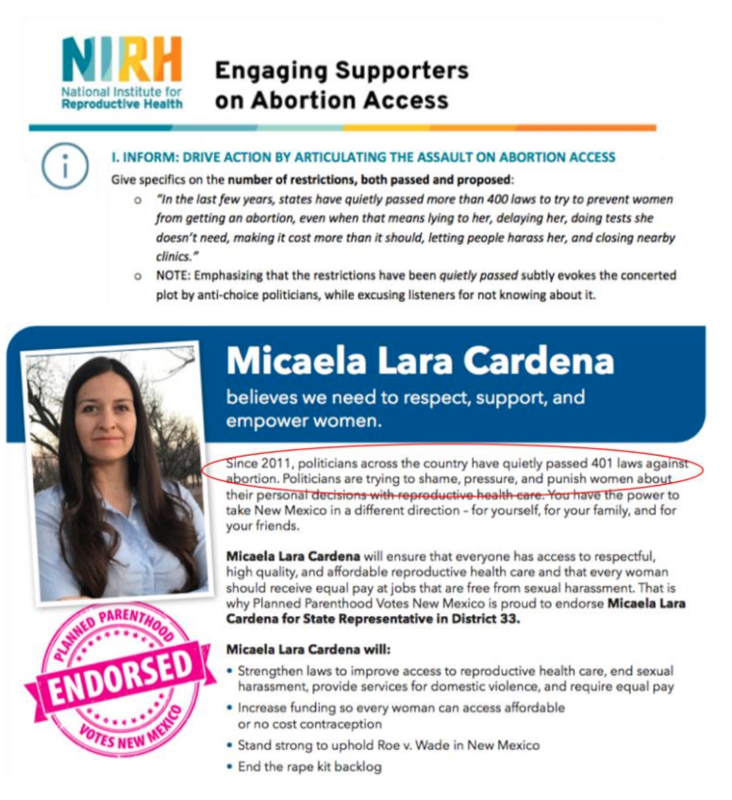 The NIRH Action Fund partnered with state reproductive health, rights, and justice groups to demonstrate the electorate’s support for abortion access and support champions for elected office. The result? The NIRH Action Fund and our partners helped candidates strengthen their stances on abortion access and appeal more effectively to voters, chalking up wins that send a strong signal to states with new and strengthened pro-choice governments: they must advance a proactive agenda by introducing and enacting laws that enhance reproductive freedom in upcoming legislative sessions. We partnered with Planned Parenthood Advocacy Fund of Delaware to support elected officials who voted to repeal a pre-Roe abortion ban in 2018, buttress rising champions, and demonstrate the clear advantage for candidates who run on a bold agenda supporting abortion rights and access. ● Strengthened candidates’ public stance for abortion access and created momentum for removing the final piece of Delaware’s pre-Roe criminal abortion law in the next session. 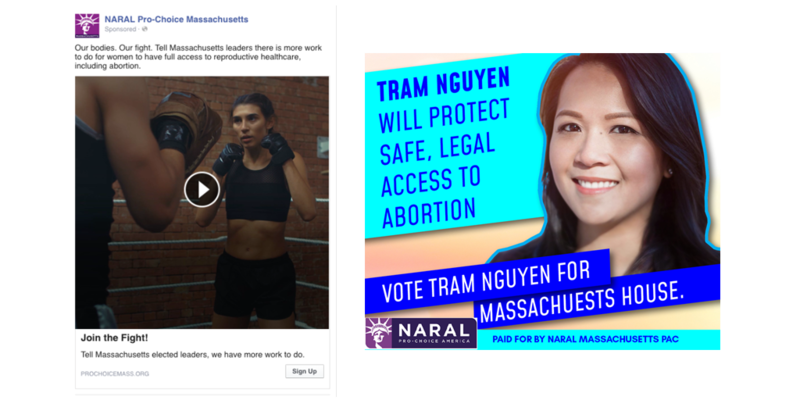 We partnered with NARAL Pro-Choice Massachusetts to defeat anti-choice candidates and illustrate the critical importance of abortion access for voters. As part of these efforts, we conducted a first-of-its-kind poll of Massachusetts voters [link], including an oversample of Catholic voters, regarding reproductive freedom and abortion access. These findings, showing that Massachusetts voters, including Catholics, overwhelmingly support policies that recognize the right to abortion and improve access, were part of a larger public education campaign that has laid the groundwork for policy movement in the year ahead. ● Successfully ousted the Commonwealth’s most vociferous, long-standing anti-choice House member—sending a powerful message that such views are anathema to voters there. ● Used our polling results to elevate abortion access as a key issue for legislators, resulting in public strengthening of their stances on specific policies to be taken up in the next legislative session. The NIRH Action Fund’s work centered on supporting true champions who will lead on a bold reproductive freedom agenda, creating an expectation that the state will repeal its pre-Roe criminal abortion laws. We partnered with Planned Parenthood Votes New Mexico, Strong Families New Mexico, ProgressNow New Mexico, and others to support and train the most diverse and woman-centric ballot the state has ever seen—and to ensure that New Mexico voters stood with them. Through direct engagement, we and our state partners encouraged and emboldened candidates to be outspoken in their campaigns and to be leaders on the issue once in office. ● All five priority state House candidates won. ● Multiple legislators stated on record that a bill to protect abortion rights is a top priority in the new session. 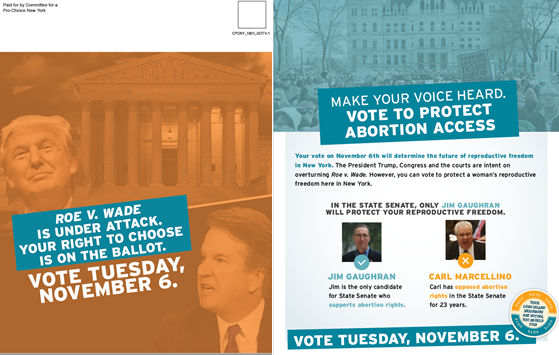 The NIRH Action Fund PAC and the Committee for a Pro-Choice New York supported efforts to create a pro-choice trifecta in state government, supporting nearly two dozen candidates for the legislature through direct contributions, voter engagement programs, and dozens of endorsements. These electoral victories set us up for a very strong opening of the 2019 session, with the Reproductive Health Act – repealing New York’s pre-Roe criminal abortion ban and enshrining abortion rights into state law — as a top priority for all stakeholders, and a grassroots engagement strategy to expand the pro-choice infrastructure on the ground across the state. ● Candidates across the state at all levels of the ballot campaigned on abortion rights and access as a centerpiece of their platforms. ● The NIRH Action Fund PAC and Committee for a Pro-Choice New York successfully flipped the Senate to a 39-seat pro-choice majority (out of 63). ● Created expectation for passage of RHA early in 2019 session. 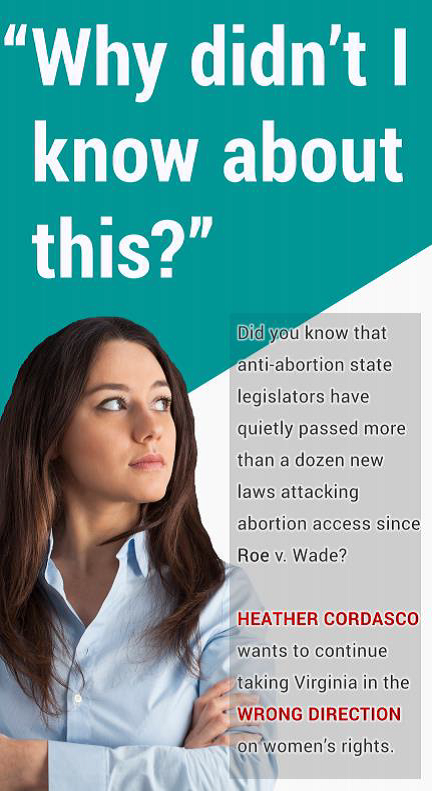 The NIRH Action Fund focused on securing the state’s continued status as a national leader on abortion issues by protecting the champions who passed the Reproductive Health Equity Act (RHEA). By developing winning messages for candidates across the ballot, NIRH-AF, NARAL Pro-Choice Oregon Action Fund and other state partners were able to demonstrate that voters support vocal, visible champions of RHEA, which safeguards access to the full range of reproductive health services, including abortion, regardless of a person’s income or immigration status. ● Protected five House members who were vocal supporters of RHEA and ousted two who were vociferous opponents of that bill. 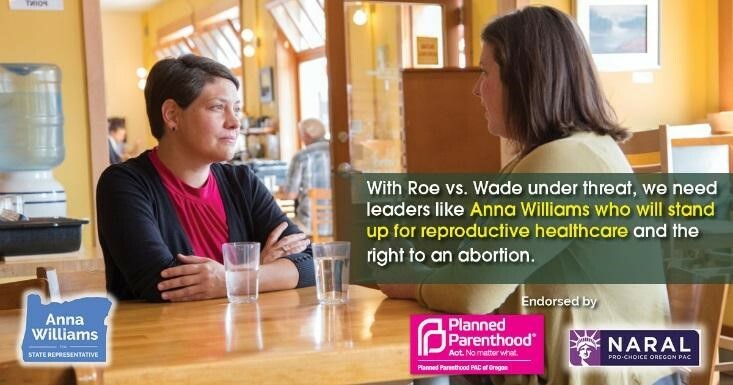 ● Elevated reproductive health issues throughout the state, demonstrating voters’ desire that Oregon remain a national leader on reproductive health issues, including abortion access for all who need it. ● Oregon voters defeated a ballot measure that would have gutted RHEA by banning public funds, including Medicaid dollars, from covering abortion-related procedures. As the first major statewide election following Trump’s 2016 presidential win, the 2017 Virginia elections represented a referendum on Trump’s presidency and an opportunity to reshape representation in Virginia. NIRH worked with NARAL Pro-Choice Virginia to engage in two 2017 special elections, Ralph Northam’s gubernatorial primary, and two House races in the general election. NARAL Pro-Choice Virginia reached 103% of their contact goal in House District 85 and Senate District 22 in the January 2017 Special Elections through a combination of staff and volunteer canvassing, volunteer phone banking, and paid phone banking. 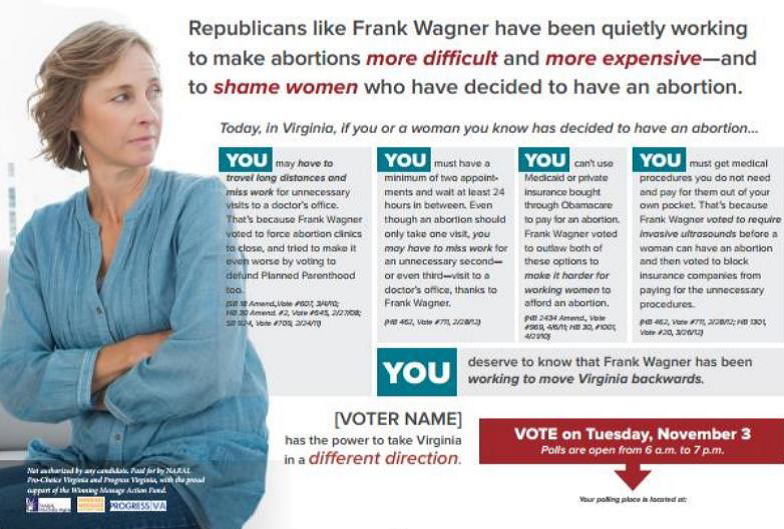 NARAL Pro-Choice Virginia was able to contact over 10,500 voters by mail in the general election for Governor and 2 key house races. With our funding, NARAL Pro-Choice Virginia also organized 5,000 paid “Make a Plan to Vote” calls into each HD51 and HD93 in support of Hala Ayala and Delegate Mike Mullin. Pro-choice voters saw sweeping victories across all of these races in 2017, with Ralph Northam winning the governorship and making unprecedented gains in the House of Delegates. During this crucial presidential election year, the NIRH Action Fund found opportunities where few other political players were involved, focusing on areas in Ohio with projected low voter turnout, and races in Virginia that were critical, but not getting much attention. Ohio has been a lead swing state in presidential elections, having chosen the winning candidate in every election since 1960. 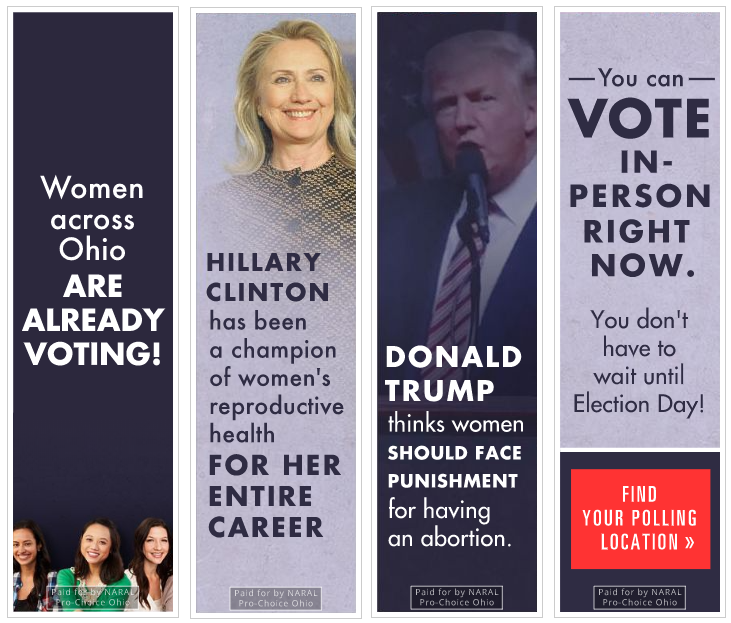 With concerns about voter turnout in heavily pro-choice areas in the 2016 presidential election, NIRH Action Fund partnered with NARAL Pro-Choice Ohio to encourage early voting. Challenging the conventional wisdom that digital engagement is not effective in driving a Get Out The Vote (GOTV) campaign, we ran a digital campaign targeting registered Democratic women, 25-50, with Pandora radio ads, Facebook ads, and display ads contrasting the positions of Secretary Clinton and Trump. The digital campaign was layered with phone calls that used a message-tested script. In total, the online ad campaign generated 4,764,076 impressions resulting in 3,884 clicks through to our website to look up polling locations and receive additional information about pro-choice candidates on the ballot, and 6,163 messages were delivered directly to voters. This project informed targeted voters across Ohio and built up the electoral capacity of NARAL Pro-Choice Ohio. Printed and distributed 2,000 pieces of literature. Completed over 6,300 phone calls to pro-choice voters. During this extremely off-year election, we tested a new strategy to build a multi-layered voter education campaign and GOTV campaign. 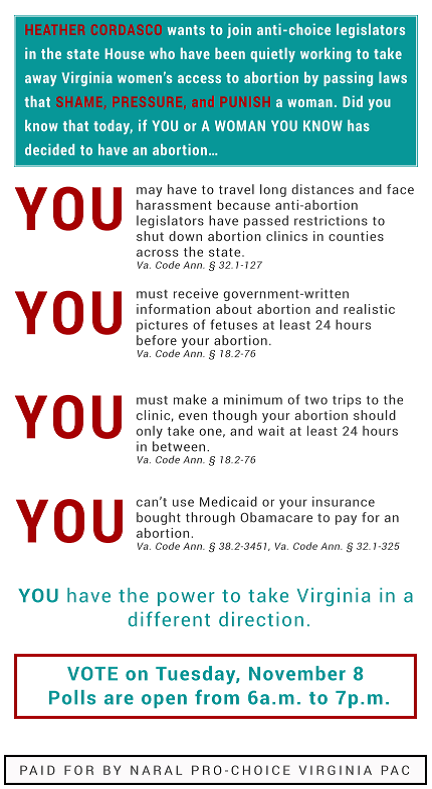 Collaborating with Progress Virginia and NARAL Pro-Choice Virginia, we tested whether pro-choice issue-based persuasion and GOTV messaging could mobilize people to vote. 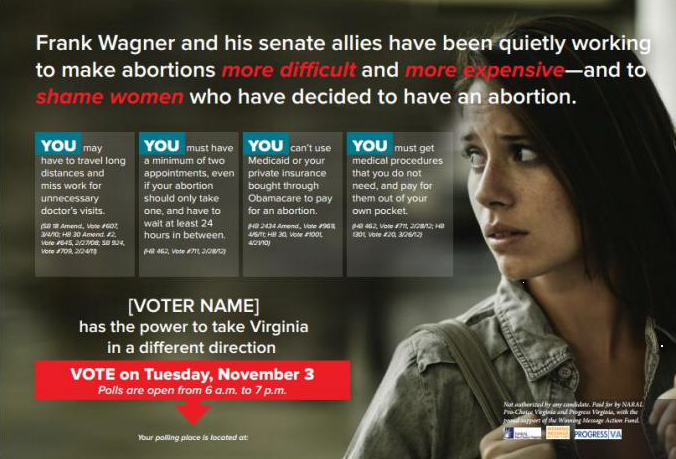 Targets in the treatment group received pro-choice issue-based messages through our 2015 mail, canvass, and digital persuasion and Get Out The Vote (GOTV) program. Targets in the control group received no contact. Our persuasion and GOTV program successfully increased turnout. Individuals that received the program were 1 pp more likely to vote than individuals who received no contact. Voters with lower turnout scores, African Americans, and men were particularly responsive to the program.